In my dream, my car sits beside the road somewhere fairly close to home. I am walking toward the car and as I come closer, I see greasy, black gunk oozing out from under the hood onto the fenders. Later, two boys playing jokes coming into a room where they do not belong. I go in as well and show the male guard the numbers on the boys clothing. I only recall one number which is 617. The other lad is tall, well built, muscular like my eldest son. I place a large blue cloth shaped like bandage over the boys left forearm. He does not appear physically hurt. The bandage fits perfectly over his forearm. I have learned that though dreams may appear in fragments, they are like drama, appearing in scenes. The task is to find the relationships among the symbols. The car is often a symbol of the self in dreams, “auto” comes from the etymology of moving the self. My self is oozing gunk, or toxins. If my car were in deed oozing oil, or gunk, I would immediately seek a mechanic. The dream is simply telling me I am oozing the pain or gunk from within my body. Body memories are not easily exorcised. In meditations over the past few months, my left side has oozed black, brown, slimy, dark fluids, figuratively speaking. I can “see” the gunk oozing out.The most significant aspect of the dream is the bandage, or healing, which I place on the young man’s left forearm. I am loathe to write about these things because I fear the judgment and ridicule of the ultra religious who seem to think they have a right to something they call Truth. Somehow Right is on their side. This dream seems to tell me that healing the left is important. Left is symbolic of linear, analytical, logical, sequential thinking. Logical sequential is highly prized in our culture as a result of the 17th century Enlightenment and long before that early Catholic writers such as Thomas Aquinas. The right, random abstract threatens the left. I understood this as a young teacher and prided myself on my logic! However, the dream tells me that my left needs healing! 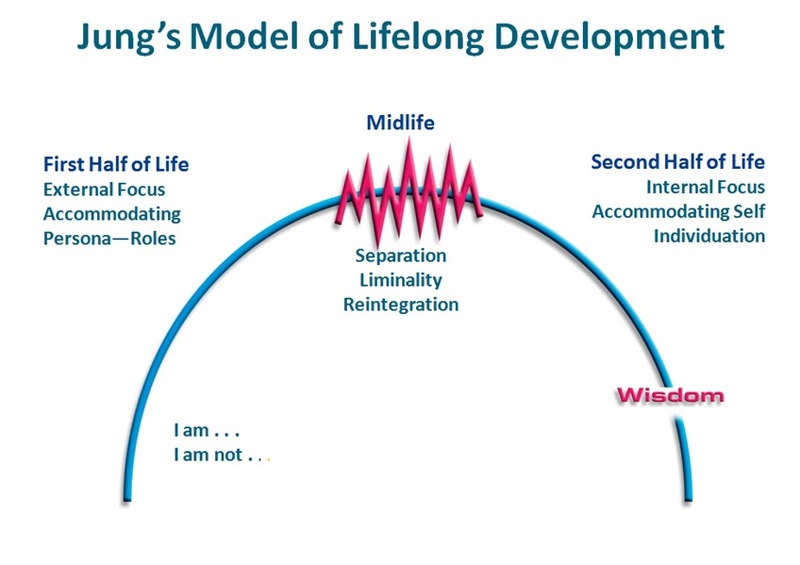 Healing the left will allow the integration of the feminine, creative aspect of Self; the imaginal mind of intuition which I have closed off since early childhood. The blue of the bandage is also significant. I see blues and purples constantly as I meditate. Blue is the color, for me, of the mantle worn by the Blessed Mother to whom I have a deep, life long affinity. When I was a child, my family prayed the rosary together most if not all evenings after dinner and before bedtime. It is a lifelong image fixed in my being. My grandfather Miller gave a Statue of the Blessed Mother to the Holy Rosary Church when my grandmother died in April, 1946. My grandmother has had a lifetime influence on me even though she died of a stroke when I was 11 months old. Blues and purples are also chakra colors. My Aunt Anne may be a symbol of the potential for security. She was my closest Aunt, my mother’s only sister. Living only a mile away through the woods via foot or horseback, she played a large part in my early childhood. I loved her laugh, her smile, her warm lap. In her kitchen, I felt welcome, safe, warm and secure. She often teased about my running wild in barefeet. On my wedding day, walking up the aisle on my Dad’s arm, she gave me a mischievous smile, reached over, lifted my wedding dress a little and exclaimed, “Nice shoes!” The dream image suggests this close aspect of my self needs to be “married” or become one be integrated within. And, happily, I am on the trail, the journey, on my way! The number 617 is interesting although I know little of numbers. In dream work, to play is to learn. Playing with these numbers, I notice that 6 + 1 is 7 thus indicating two 7s. Seven is a sacred number…there are seven sacraments, seven story mountains to spirituality, seven days in the week, seven days of creation, Noah brings seven pairs of every animal onto the Ark, the Menorah of Jewish origin has seven branches, there are seven deadly sins, seven colors in the rainbow, seven seas, and seven wonders of the ancient world. There are seven brides for seven brothers, and the seven year itch, seven years between passages on the human journey! And, as I recall from the song, Jericho fell on the seventh day after seven priests with seven trumpets marched around the city seven times!!! Need I go on. There are probably many more associations to the number 7. So, the dream chooses to show me the number seven. Integrating the four dream fragments into a whole tells a circular story. Dreams do not arise from the logical sequential mind. Perhaps that is why so little has been learned in modern cultures about the work of dreams in our lives. I am in Victoria, away from my study book shelves! After mulling this dream for several days, I remember some authors associated with the fall of 1989. I find two books still available on Amazon.com … Baird T. Spalding and Lucia Cappachione. If you are interested, check the resources section of this website. The images I have chosen for this post indicate the initial beginnings of my search for understanding the works of C G Jung. The images convey the concept of the sacred inner marriage and the process of individuation over a life time as theorized by Jung. I was 43 years old, the middle of my life, when this work began in 1988. I am now a Crone. I find it fascinating that Jung’s work is so little known in Alberta. The application of his theories to education have hardly begun. While going into Chapters Books, last Sunday, I was greeted by a young woman showcasing the latest Russell Brand book about Revolution. She gave me a thumbnail sketch saying it was very inclusive of many postmodern ideas. “Carl Jung?” I ask. “what do you do,” she asked me. “Retired. My last work was teaching sessionals at the University of Alberta.” “I just graduated with a degree in psychology from the U of A,” she exclaimed. “Oh, what did you learn about Jung?” “Well, they did mention him as one of the fathers of psychology but we didn’t study his theories.” Hmm. 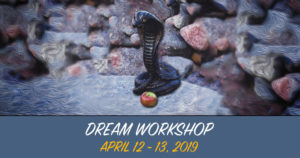 When I began working with dreams in 1989, there was nothing in education in Alberta that related his transformation theories to the work of learning and education. Dream work, however, was filled with his theories. While teaching at the University of Alberta as a sessional lecturer from 2005 until 2012, I discovered a deep applicability to education. By then I recognized the language of Jung and therefore it was exciting to try to integrate my new ways of learning into my teaching. Difficult work, but the inclusion and experience of these principles helped me with the deep learning needed for young teachers to actually teach differently than they have been taught. Jung spent a lifetime learning and theorizing about the personal unconscious as well as the collective unconscious. It was and is deeply disturbing to become aware of how superficial my understanding of myself really is. Understanding that many of my most deeply held beliefs, are just that, beliefs, is indeed disturbing. The difficulty in becoming more conscious is that most of us do not know we are unconscious to begin with. How do we become aware? Coming to know and understand oneself is the work of a lifetime. I attest in these blogs to the difficulty of coming to change my religious beliefs. I returned often to the words of my Dad, “Don’t confuse God with the Church.” Indeed the institution with its rules, rituals, procedures and hierarchy may often have little to do with God. For me, the exclusion of women from the priesthood became a huge issue! And just what or who is God anyway? Who gets to decide? Reading became more of an obsession than ever!! Beyond Patchwork: Faith, Feminism and the Catholic Church, by Sandra Schnieder helped me greatly. At the beginning of this process in 1988, I had no clue where it might lead me. I just knew I had to go. Now, I am not a true Bible scholar. Neither do I believe in the literal interpretation of the Bible, or what Daniel Webster of dictionary fame called, ‘plain and obvious meaning’. In my belief system, the Bible is filled with both much wisdom for the ages, and much man made rules and laws that are dreadfully wrong. Many verses can be used by the ego to beat up on someone who is not living according to the personal dictates of a particular purveyor of truth. I read through the lens of hermeneutics, allegory, and spiritual meaning as best I can. I make no attempt to force my interpretations on anyone else. I do enjoy a good conversation of the possibilities of meaning and find new learning within those conversations. However, if you choose to check out Malachi 3-6 and Jeremiah 9:25, you will find the Old Testament verses which according to the gentleman on the street at Ogden Bay Point indicate that uncircumcised men as well as those without beards or those who trim their beards are destined for Hell. Thus spake the Lord. So, as I walk along the Pacific Ocean, symbolic of the depth of the collective unconscious, I ponder. Is it possible that the Cleansing dream where I am on the Trail to B.C may be much more symbolic than first thought. I consider the possibility that the BC in the dream may be the gift of indication that my unconscious holds much that originated B.C., that is in the days before Christ, in the days of the Old Testament. There is no way I could have had this thought in 1989. I knew not that I was living in post-exile, that is after the end of my life’s endurance run, that is symbolically the captivity of the Egyptians in Babylon, the days of my intense depressions. Symbolically speaking, I was no longer a slave to the depressions. I was now in post-exile where there is much to be learned. The Book of Malachi is the last Book of the Bible, written approximately 430 B.C. I am pondering. Dreams will do that for me. I find myself pondering them years later. Dreams are the gift that the psyche keeps giving if I write them down. Thanks for sharing your blog with me, so much to ponder. Blessings as you continue to share your wisdom with others.